America Forward began hosting our bi-monthly Pay for Success and Evidence-Based Network calls in 2015. Since then, we have started every new call and post of the year reflecting back on how active and transformational the previous year was in advancing Pay for Success and evidence-based policies and practices. As we begin 2018, though that same reflection is true about 2017, it is even more so the case that 2018 has started out as possibly one of the most consequential for supporting this movement of reorienting policy and funding to what works. As a reminder, in 2017, the 20th Pay for Success project was launched, the Commission on Evidence-Based Policymaking completed its work, released its unanimous report of recommendations, and legislation was introduced in both the House and Senate to start to codify some of those recommendations, and additionally several pieces of federal and state legislation were introduced and advanced supporting Pay for Success and evidence-based policies. In just the first 40 days of 2018, major pieces of federal Pay for Success and evidence-based legislation were passed and signed into law. This post chronicles those significant wins and provides additional information about other significant policy and practice related efforts that are of interest to the Pay for Success and evidence-based community. Fiscal Year 2019 Budget Proposal: On February 12, the Administration released its Fiscal Year 2019 (FY19) budget proposal. The budget proposes $4.4 Trillion in spending while at the same time eliminating, streamlining, or reducing 39 discretionary programs, including the Social Services Block Grant, the Temporary Assistance for Needy Families Contingency Fund, the Low Income Home Energy Assistance Program, and the entire Corporation for National and Community Service agency. Included in the budget is a chapter entitled Building and Using Evidence to Improve Government Effectiveness. This chapter includes many of the ideas/themes included in the Commission on Evidence-Based Policymaking’s final report, including designating evaluation officers in each agency, creating multi-year learning agenda, funding flexibility/evaluation set-asides, and a whole section on data access and use. Fiscal Year 2018 and Fiscal Year 2019 Appropriations: Since September of last year, Congress has failed to agree on a long-term funding package that would secure funding for the entirety of the current fiscal year (2018). As a result, we are functioning under our 5th continuing resolution while at the same, given the release of the Administration’s FY19 budget proposal, Congress has begun the FY19 appropriations process. Current Status: On February 9, Congress passed a 5th continuing resolution (CR) with an expiration date of March 23. The CR was included in a larger bill called the Bipartisan Budget Act of 2018, which also raised the budget spending caps over the next two years and included a number of evidence-based provisions. Social Impact Partnership to Pay for Results Act: A comprehensive Pay for Success bill, the legislation directs federal resources to states and local communities to support innovative Pay for Success arrangements. In 2017, led by Rep. Tiberi (R-OH) and Rep. Delaney (D-MD), H.R. 576 Social Impact Partnership to Pay for Results Act, was introduced with bi-partisan support and Senators Young (R-IN), Bennet (D-CO), Booker (D-NJ), and Collins (R-ME) introduced their version of the bill, S. 963 Social Impact Partnerships to Pay for Results Act. Current Status: Four years after its initial introduction, SIPPRA was included as Section 50801 of the Bipartisan Budget Act of 2018 and was signed into law by the President on February 9. Implementation efforts are underway with the first statutory deadline associated with naming members to the Commission on Social Impact Partnerships, which is to be done within 120 days of enactment of the legislation. Maternal, Infant, and Early Childhood Home Visiting Program: In 2017, Rep. Smith (R-NE) introduced H.R. 2824 Increasing Opportunity through Evidence-Based Home Visiting Act to reauthorize the Maternal, Infant, and Early Childhood Home Visiting Program. This legislation not only reauthorized the program but added an option to use a Pay for Success (referenced in the legislation as Pay for Outcomes) approach to allocating the dollars associated with the program. In the Senate, a bipartisan group of senators introduced their version of a reauthorization bill, the Strong Families Act of 2017, (S. 1829). The bill was very similar to the House version, including the Pay for Outcomes provision. Neither of these pieces of legislation were enacted into law before the program’s authorization ran out on September 30, 2017. Current Status: Though the program went unauthorized for over four months, language to reauthorize the program for five years, including the Pay for Outcomes provision, was included as Section 50601 of the Bipartisan Budget Act of 2018 and was signed into law by the President on February 9. Family First Prevention Services Act: Introduced first in 2016, the Family First Prevention Services Act provides sweeping reforms to Federal funding and support for child welfare services with a particular emphasis on defining and redirecting funds to evidence-based interventions. The legislation came close to passage at the end of 2016 but has been since reintroduced and debated in the current Congress.Current Status: The Family First Prevention Services Act was included as Title VII in the Bipartisan Budget Act of 2018 and was signed into law by the President on February 9. Re-employment Services and Eligibility Assessment Pilot Program: An initiative of the U.S. Department of Labor, REA is a program that focuses on accelerating unemployment insurance claimants’ return to work and the training and other strategies used are encouraged to be evidence based. Current Status: The Bipartisan Budget Act of 2018 codified REA in Section 30206 and outlined a funding mechanism to fully fund the program over 10 years. The bill authorizes first year funding of $117 million in FY18 and then bakes in mandatory side auto increases over ten years topping out at $750 million. By the middle year of the authorization, states will be required to have at least 25% of their expenditures be on evidence-based strategies and by the end of the authorization that requirement will have risen to 50%. The Secretary is authorized to award outcomes-based payments to successful state strategies. 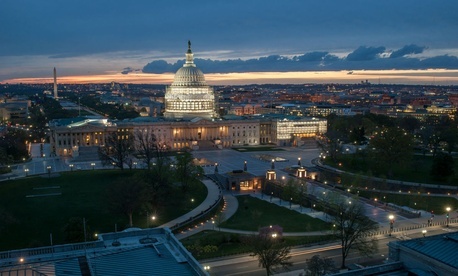 Investing in Opportunity Act: Introduced on a bicameral, bipartisan basis, this legislation amends the Internal Revenue Code to authorize the designation of opportunity zones in low-income communities and to provide tax incentives for investments in those zones, including deferring the recognition of capital gains that are reinvested in the zones. Current Status: The language of the bill was included in the Tax Cuts and Jobs Act of 2017 and established this new community development program to encourage long-term investments in low-income urban and rural communities. The chief executives of every U.S. state and territory have 90-120 days from enactment of the legislation to designate up to 25 percent of the total number of low-income census tracts in a state as Opportunity Zones. Resources are available from the Economic Innovation Group who has been a leading voice on this initiative. Department of Agriculture’s National Resources Conservation Center: The Department launched a new webpage devoted to Pay for Success and how it is being applied in the natural resources space. As a part of NRCS’s Conservation Innovation Grants, Pay for Success was noted as a funding tool. Over the last three years, NRCS has used CIG funding to help pilot Pay for Success projects.